We are a full-service jewelry store. Our in-house staff of jewelers and goldsmiths specialize in on-site jewelry repair. Our state of the art Laser welding capability allows our jewelers to repair a wide variety of metals and work on settings with precious gemstones set within the piece. The pinpoint accuracy of the laser allows our jewelers to repair any delicate antique filigree rings and fine chains as well as more substantial jewelry. 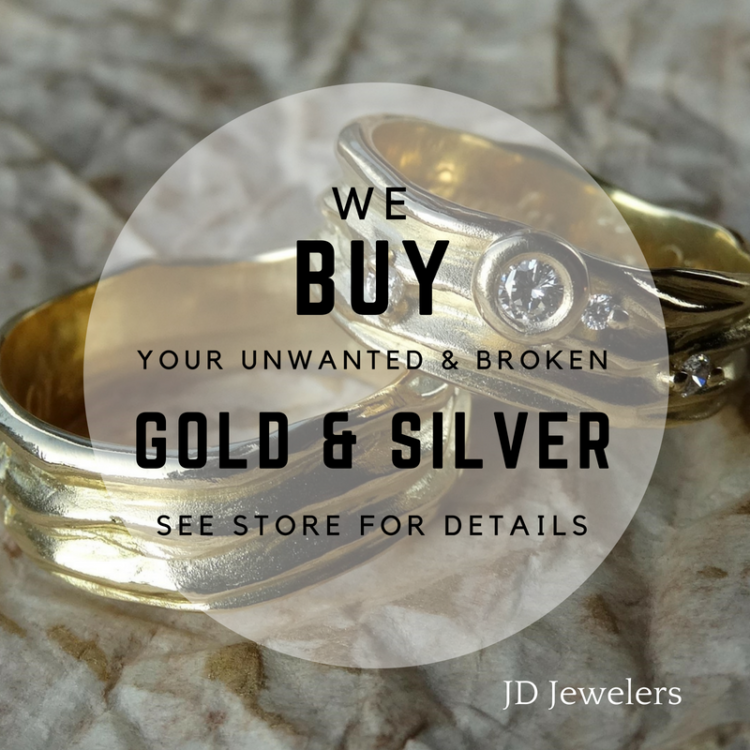 Stop by your local JD Jewelers and let us give you a quote for your jewelry repair. Many repairs and ring sizings can be done while you wait. 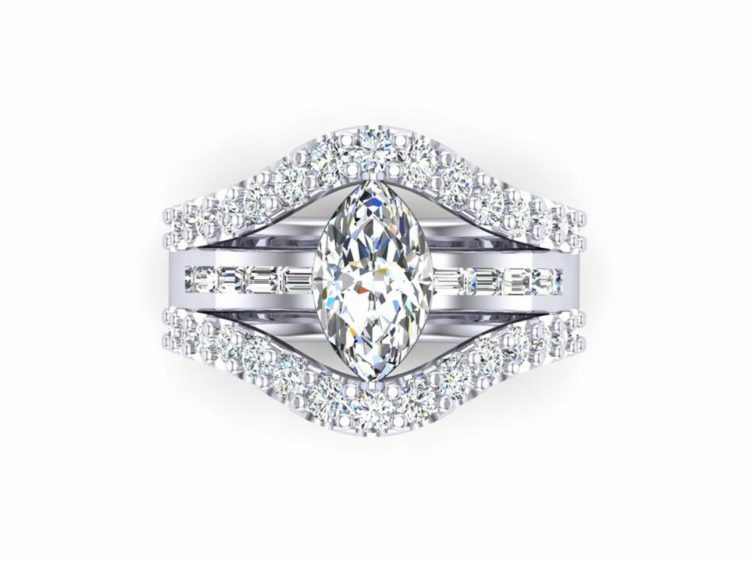 Having these capabilities within our store allows us to offer the highest quality jewelry and customer service, at the most competitive prices. We can make the jewelry of your dreams with our custom design service. Whether we recreate an heirloom or combine your favorite features from pictures (Pintrest, Etsy, ect), using our 3D CadCam technology, you will receive 3D pictures of what your finished piece will look like (like the pictures to the right). Work directly with our team to create one of a kind jewelry! Having a custom design and manufacturing facility on premises allows us to offer a variety of personalized services to you. Make your old jewelry new again! We can take your existing stones out of their settings and place them in a new creation for you. This is perfect for updating from Silver to Gold, or those special pieces that have been handed down but don’t fit your style. You can choose from one of our empty settings or we can custom create your perfect design. Are your white gold rings losing that bright white color and looking more yellow? Bring them in and let us restore that bright white gold luster. 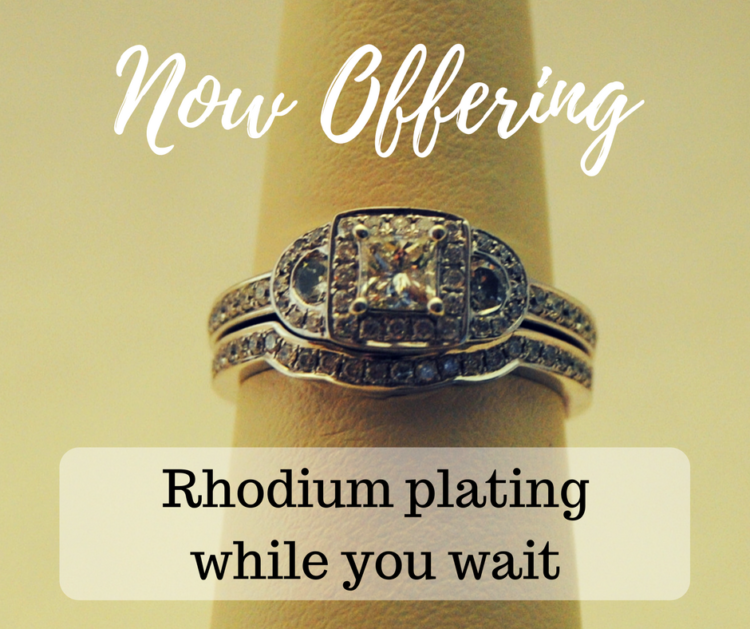 Through the Rhodium Plating process your ring will be polished and electroplated with Rhodium because Rhodium is in the Platinum family, it will give your white gold the bright, silver finish it had when you first bought it. The process takes about 20-30 minutes, and look like a brand new ring. We can change most watch batteries in the store, right as you wait. Don’t try to do it yourself and risk damaging the back or breaking the crystal. Our professional staff can quickly and easily get your watch back in running order. Bring in your broken or unwanted gold or silver jewelry and turn it into cash or use it as a store credit to buy yourself something new. We also buy round diamonds that are at least .25ct. Bring in your stone and we will make you an offer.